to see every plan they form fail. 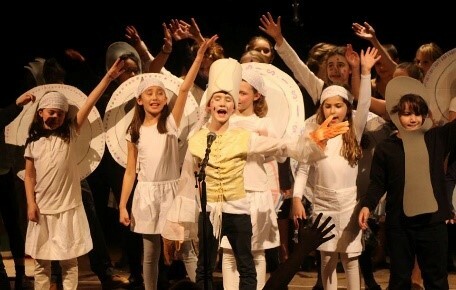 This show is performed entirely by children aged 8 to 18, our "ACT All-Stars", an advanced performance troupe made up of our most experienced students. 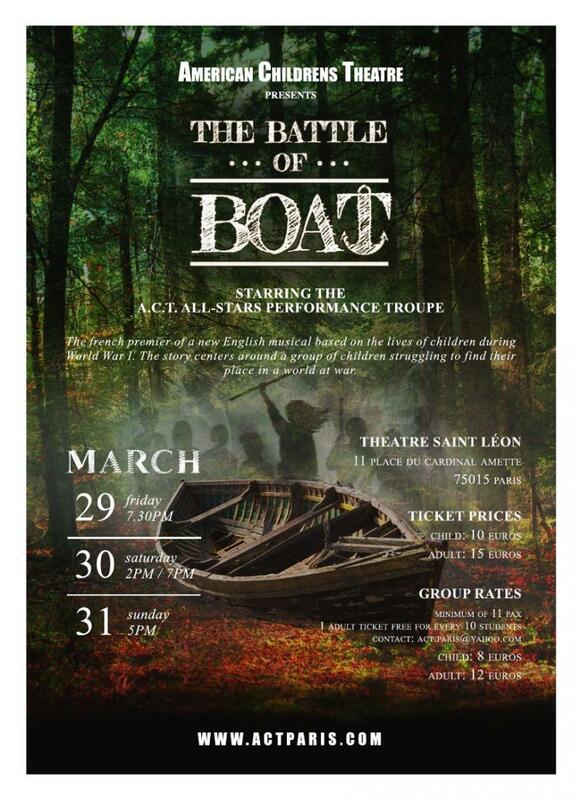 The Battle of Boat promises to be a moving and exceptional performance for all ages, but is most suited to students ages 6 and up, as the show does address the issue of Bullying and the fight scenes could be overwhelming for younger ones. Parents, you can make this decision! 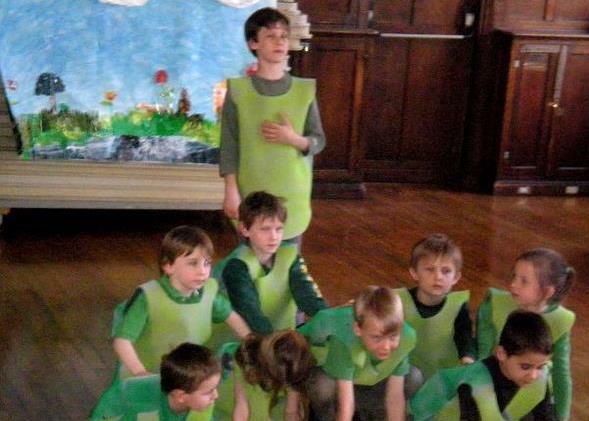 There is of course no actual blood on stage, just children who fight each other with fists and sticks, and some instances of older students threatening or bullying younger ones. It is a great tool to use to discuss bullying and the different ways in which characters in the show deal with it, stand up to it, and its consequences. Spring Semester Registration is OPEN! Classes are filling up so don't miss out on your chance to join the fun for our new semester! Links below to register, and get more information on our "Class Schedules" page! PARIS or ACT WEST (suburbs) locations! Classes run by Semester. The first semester runs from the second week of September until December, and the Second semester is from January until June. Each class culminates in a BIG show, a real theatrical experience with lights, sound, tech, microphones, costumes, sets - the whole works! We have classes divided by age level and experience. See our "Class Schedules" page for full descriptions! We run day-camps during all school holidays! Check out our "Camps and Special Workshops" page for more information! Students put on a show in only ONE WEEK and have a great time! and again this SUMMER! Don't miss all the fun! The Director of ACT is a conservatory-trained New York actress with a resume full of film and theater experience. Our staff is full of experienced and talented performers from the US, UK, Paris, and beyond! They bring a world of skill and talent to YOU! "Hurray for Hollywood" by the Twinklers featuring the pre-war era of Early films and musicals - Fred Astaire, Charlie Chaplin and more! "That's Entertainment" by the Sparklers, featuring the Golden Era of 1950's and 1960s Hollywood movie musicals, from the grand Gene Kelly dance numbers to the sweeping stories, scores, and scenes from classics like "The Sound of Music"
"Let's Go To The Movies" by the Glitteratti, a glimpse into the process of auditioning, rehearsing, and performing as an actor/dancer, featuring music from post 1970's movie musicals: "A Chorus Line", "Fame! ", "Chicago", "Mamma Mia", and more! See our "Past shows" page for more!